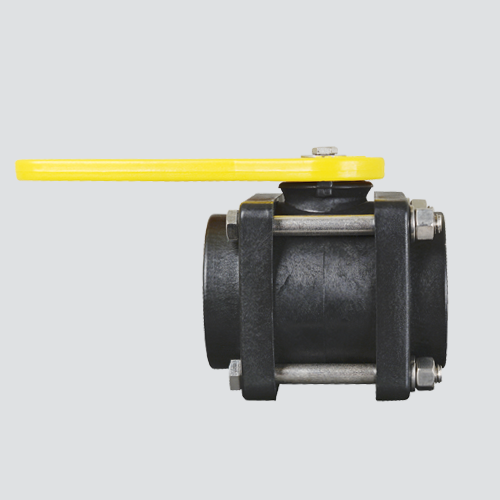 Standard bolted ball valves are manufactured from glass reinforced polypropylene for strength, durability, and corrosion resistance. Its unique body and flange design allows for low torque operation, and the self-aligning ball rotates freely against Teflon® seats. Used in applications that require a restricted flow.